Cinema Power. 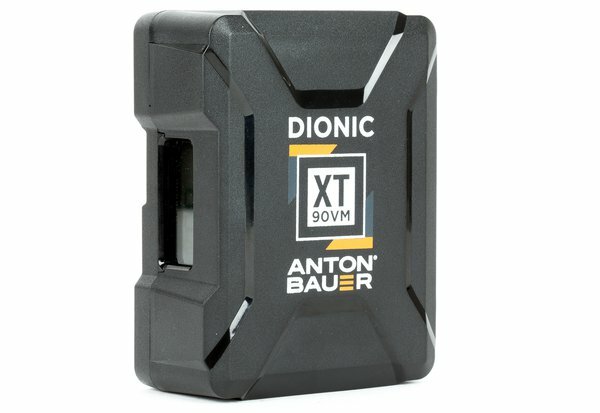 The Anton Bauer Dionic XT90 V-Mount Battery is designed to power your power-hungry cinema cameras. 12A Continuous Load. 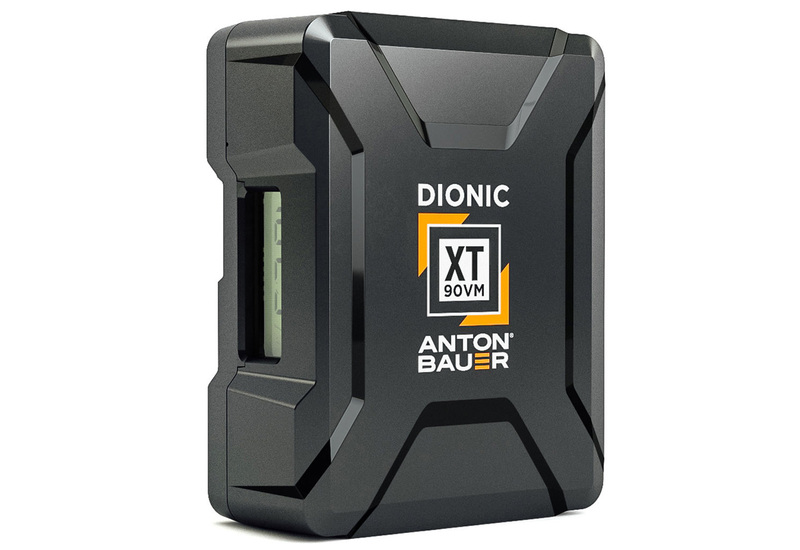 This 14.4 V, 99 Wh battery offers 12 amps of continuous power load, making it stable for power-hungry cine cameras that require a constant minimum. It supports peaks of up to 20 amps for two seconds, and its output is also perfectly suited for LED lights that accept V-Mount. Charger Not Included. In order to provide you with maximum flexibility, batteries, chargers, and mounting plates are all separate rental items. This way, if you want four batteries but only one charger—and if you weren’t aware, the AB intelligent chargers are more expensive than the batteries—you don’t have to pay for four chargers too. If your camera accepts V-Mount batteries directly, you don’t have to pay for an adapter plate. If you order just a battery, we’ll assume that you already have an appropriate Bauer charger and just need an extra battery.